The deadline for promotion applications is quickly approaching. 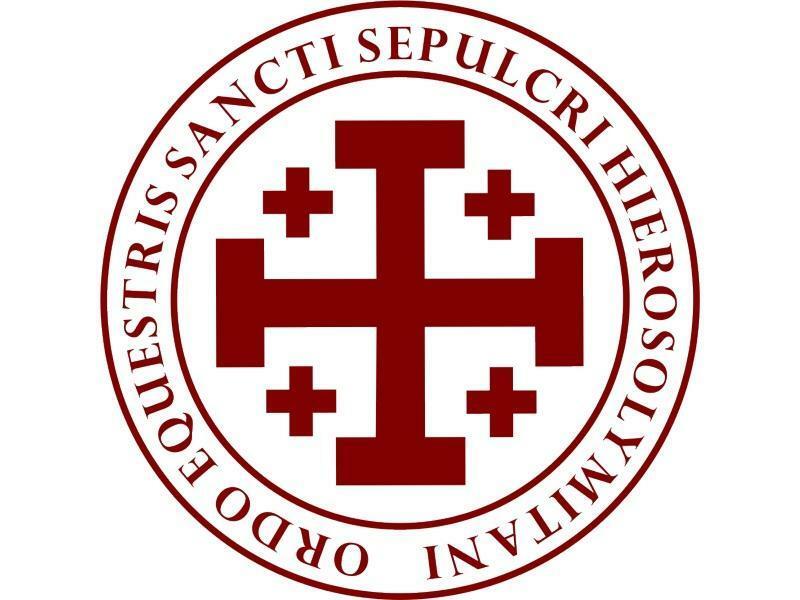 Please return your promotion application to the Eastern Lieutenancy office by Wednesday, March 27, 2019. Should your application arrive after the deadline date, the office will make every best effort to process the application for the 2019 Investiture ceremony. As always, if you have questions, please feel free to reach out to the office staff via email holysepulchreny@archny.org or phone 212-371-1050. We are always happy to assist you. Below is the flyer for this event, as well as a hyperlink to download the flyer. Please RSVP to the office by Tuesday, April 2nd if you are interested. You may call our office (212) 371-1050 or email us at holysepulchreny@archny.org with any questions or to make your reservation. In the second week of our Lenten journey, the meditation we would like to share with you is from the Archbishop Pierbattista Pizzaballa. His Excellency’s reflection from the Second Sunday in Lent is below, and we have also included a hyperlink so that you may view it on the Latin Patriarchate’s website or share with others. The Gospel passage that tells the event of the transfiguration of Jesus is set among the announcements of the Passion. Jesus is starting to tell the disciples that His journey to Jerusalem will conclude with Easter and, immediately after the first of these announcements, Jesus goes up on a high mountain, which tradition identifies with Mount Tabor. The Transfiguration event, which the Liturgy of Lent proposes to us every year on the second Sunday, after the temptations, happens there. We can also reread the transfiguration as an announcement. On Tabor, Jesus announces the purpose of every human life, the vocation to which man is called: to live a full experience of glory, of fullness, of relationship with God. Every man is called to become, with all his heart, a revelation of the Father, a full opening to Him. We discover that all this, usually, is not visible to the human gaze: if we look with the eyes of our body, we can only see our fleeting and mortal reality, incapable of eternity. If we look with the eyes of faith, on the other hand, we can see the vision that Peter, John, and James witnessed; the one man already is called to live, before passing through death, the experience of resurrection. The Gospel tells us how this is possible. First of all with prayer. The reference to prayer is explicit at the beginning of the passage (Lk 9:29), but returns continually, hidden within the entire text, because this moment of light is a continuous dialogue, in which each one speaks, each listens, each feels heard. Jesus dialogues with the Father and does so by listening to the Law and the Prophets in the people of Moses and Elijah. The disciples listen to the Word of the Father, who bids us to do nothing but listen to the Good News of the chosen Son on His way to Jerusalem, where He will give His life for all. Prayer is this mutual opening, done primarily by listening, and in which each one, listening, receives the revelation of his own face in relation to the other. The new humanity is, therefore, humanity in listening, in dialogue. But what does Jesus listen to, what is the Word of the Father that, having heard, is capable of transfiguring existence, of bringing it to its fullness? This is what we find in verse 35: “This is my Son, the chosen one; Listen to him.” Praying is just learning to listen, among so many voices, to the Father who wants to communicate His will to choose us, to love us and to have us as children. Listening is making this Word resound more and more in-depth, letting it shape our life, our perception of ourselves, our relationships. In addition to listening and prayer, the disciples are invited to enter a cloud (Lk 9:34), they feel fear: they have before them the luminous face of the Lord, which they must somehow permit, to enter into the darkness of a cloud where all the boundaries vanish, where one loses control of things. The disciples, at the moment of the Passion of the Lord, will be called to enter this cloud, this darkness. They will do it as they will be able, and they will instinctively experience failure, disbelief, and flight. The new life will not happen thanks to their strength but by the power of the One who instead will not refuse to enter the darkness of the Passion and will come out alive and victorious over death, capable of giving life to everyone in a definitive way. The Paschal Mystery, the new life, does not happen but through this trust, this experience of abandonment in a Word that tells of the unilateral and gratuitous love of God: and Lent is given to us to surrender to the evidence of this Love, the only One who knows how to transfigure every existence and free it from darkness. Below is an invitation to a presentation entitled “Persecuted: The Hopes & Challenges of Christians in the Middle East.” This a free event hosted at America Media on Wednesday, April 10, 2019. We have also included the event as a PDF that you may download in case you are unable to access the information below in the body of this email. Please note that the RSVP, which is required for this event, is handled by America Media: events@americamedia.org . As we begin our Lenten Journey, the Eastern Lieutenancy will be circulating a weekly Lenten message or reflection. Our first reflection is from our Grand Master, Edwin Cardinal O’Brien. 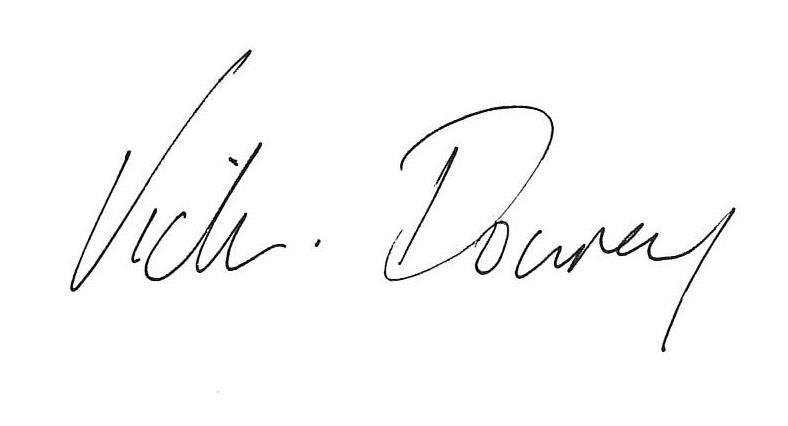 His Eminence’s reflection is below, and we have also included a hyperlink so that you may view it on the Grand Magisterium’s website or share with others. We are not ordinarily called to do significant things each day, but to do simple things, but always with Jesus in mind. May I give some examples? Surely, you will not do all of these each day: choose one or two, step by step, and you will undoubtedly come up with others, more suited to your routine. A successful Lenten Pilgrimage to all! I would like to wish you all a Blessed and Holy Lenten season on behalf of all of us at the Holy Sepulchre Office and the Lieutenancy Council. Let us all include special prayers for all those persecuted for their faith each day of this special season. We are so privileged to be able to practice our faith openly and sometimes forget that there are so many who cannot. I would especially ask that you remember the children of the Holy Land in your prayers. 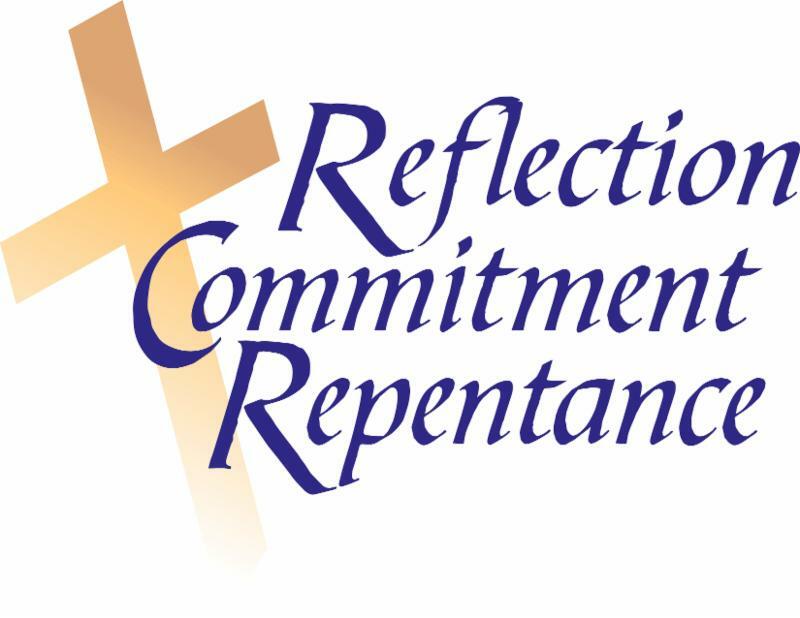 I have included below a Lenten reflection from our Treasurer, Deacon Anthony J. Gostkowski, KCHS, which I hope you will find helpful as you contemplate this special time. 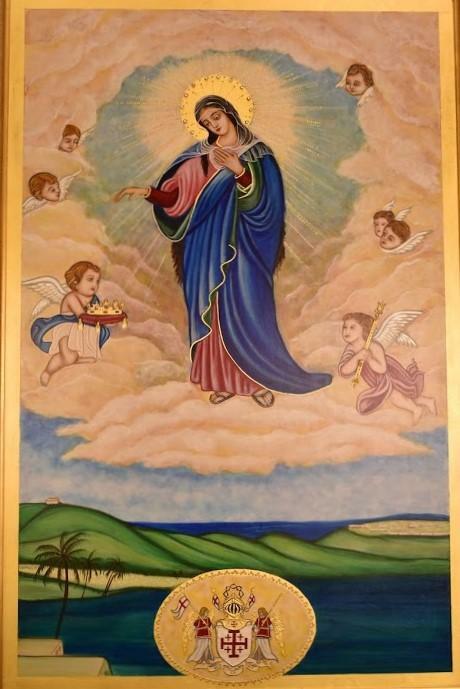 May Our Lady of Palestine bless and embrace you. Lent offers us all a very special opportunity to grow in our relationship with God and to deepen our commitment to a way of life rooted in our baptism. In our busy world, Lent provides us with an opportunity to reflect on our lives as followers of Christ, to pray more deeply, experience sorrow for what we have done and failed to do, and to be generous to our brothers and sisters in need. Each year the Church gives us forty days to take a look at our lives to see if our priorities are in line with God’s wishes for us. Since most of us find that we have wandered from God’s plan for us, Lent becomes that “second chance” or “do-over” to return to God. As you journey through these days, remember that each step brings you closer to the welcoming arms of our loving God. O Mary Immaculate, gracious Queen of Heaven and of Earth, we come before you full of confidence in your goodness and boundless power. We ask you to turn a pitying glance upon Palestine, which, more than any country belongs to you, since you graced it with your birth, virtues and sorrow and from where you gave us the Redeemer of the world. Watch, therefore, with special protection over your native country; bring peace and justice to the people of the Holy Land. Obtain for us all the grace to serve the Lord in sanctity and justice during the days of our life, so that by the merits of Jesus and with your motherly aid, we may pass at last from this earthly Jerusalem to the splendors of the heavenly one. Sir Christopher Simonetti, KHS, Section Representative of New Jersey, Eastern Lieutenancy. As the season of Lent approaches, we invite you to join us for our Lenten Days of Recollection taking place in the Archdiocese of New York, the Diocese of Brooklyn and the Diocese of Metuchen. Specific Flyers for each event will be circulated with more details in the coming weeks. Each Lenten Day will be comprised of a Conference, Reflection, Exposition/Adoration, Mass and a Luncheon. The cost for each of these events is $35 per person. Please reach out to the office if you are interested. You may call our office (212) 371-1050 or email us at holysepulchreny@archny.org with any questions or to make your reservation. Day of Recollection in Rockville Centre on Saturday, April 27, 2019. More information will follow. Email – Send an email to holysepulchreny@archny.org Please include your name, mailing address and number of applications required in your message. Members of the clergy may be nominated only by their Archdiocesan Archbishop or Diocesan Bishop. The Application for Membership, supporting documents and Sponsor Endorsement form must be returned to our office no later than Friday, March 8, 2019. Thank you for your continued support of the Order. We are exploring the possibility of a new fundraising event in 2019 to benefit the Order. On Tuesday, May 28th 2019, we will be holding the first (and hopefully) annual Golf Outing to specifically benefit the Children of the Holy Land. The event will take place at Eagle Oaks Golf and Country club in Farmingdale New Jersey – a Championship Jack Nicklaus Design course in Monmouth County. We are in the early planning stages at this point, and we are trying to gauge interest in the event before formally committing to it. The outing will also include brunch prior to the round and an awards banquet afterward. Guests will be able to join the event only for dinner, as well. This is an excellent opportunity for our members to come out and play with friends and family as well as support a cause near and dear to our hearts. Different levels of corporate sponsorship will also be available. If you think you might have an interest in playing or supporting this event, we would like to hear from you – please call our office at 212 371-1050 or email us at holysepulchreny@archny.org with the words GOLF OUTING in the subject line. Additionally, we are looking for members to join our planning committee for the event. If you would be willing to serve on the planning committee, please let the office know. Wishing you blessings in the New Year. © 2017 The Equestrian Order of the Holy Sepulchre of Jerusalem. All Rights Reserved.